The conception of this glorious musical contribution to mankind occurred in Perth, Australia after Kevin Parker (vocals, guitar, bass, drums, synthesizer, production) featured some of his music on his Myspace, which garnered a great deal of attention. The multi-instrumentalist rounded up his psychedelic members in 2007 to come together and form the world-famous band that is Tame Impala. 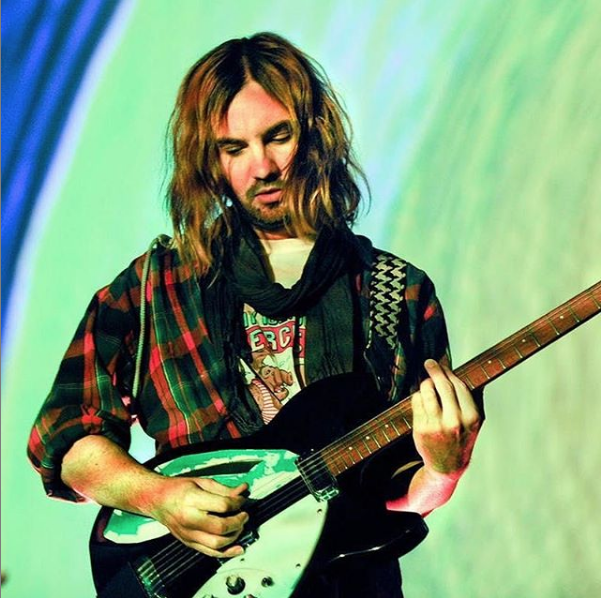 There has been a bit of a turnover in the members that make up the band, but Kevin Parker has obviously been a constant. Today, Parker is accompanied by Dominic Simper (guitar, synthesizer), Jay Watson (synthesizer, vocals, guitar), Cameron Avery (bass guitar, vocals) and Julien Barbagallo (drums, vocals). Many of these members, and past member Nick Allbrook, also make up the band Pond, which is signed by Spinning Top Music, the record label that Tame Impala is signed to as well. Tame Impala is what I imagine would be playing in my head if I went back in time and hung out with The Beatles. The influence from the 1960s and ‘70s psychedelic music scene is extremely present. I personally think that this is what makes them so noteworthy and memorable. There are several bands that are heavily influenced by the ’60s and ’70s, but very few actually execute that inspiration as well as Tame Impala. It needs to be said that Kevin Parker is a musical genius. The process that Parker implements when recording music is truly something else. Some of Parker’s favorite effects to incorporate into his music are effects that were extremely prevalent in the late ’60s and early ’70s. These include phasing, delay, reverb and fuzz. When he is actually recording the music though, he produces the music by himself in the studio and the band does not actually rehearse or perform the song until Parker has finished producing it. I have never heard of something like that, but it is clear that Parker knows exactly what he is doing and he does it so well. In May 2010, Tame Impala released their debut album, “Innerspeaker,” which also happens to be my favorite album, although it is definitely difficult to narrow it down to one when there are so many brilliant songs. In October 2012, Tame Impala released their second album, “Lonerism,” which won the J Award for Australian Album of the Year. It also received a 2013 Grammy nomination for Best Alternative Music Album but did not win, unfortunately, because the U.S. is clearly not as music savvy as Australia. Finally, in 2015, they released “Currents,” which has been their most recent album. However, Parker has been hinting at the fact that there is some new music on the way, and they are touring right now! They’re going to be playing at the Fox Theater in Pomona on April 11, then playing at Coachella and headlining Lollapalooza. If you have not yet heard their ethereal and nostalgic music, go listen right now!